PONCE INLET, Florida - A 19-year-old man was bitten by a shark while surfing at Ponce Inlet on Saturday. The surfer was bitten on his foot north of the jetty around 10 a.m., according to Volusia County Beach Safety Ocean Rescue. A full moon occurred just last night, which tends to increase shark feeding activity along Florida's beaches. Blacktip sharks (Carcharhinus limbatus) are the number one species responsible for biting humans along the U.S. East Coast. This shark has black tips on its pectoral fins and grows to no more than about six feet. Blacktip sharks can swim in just inches of water where toddlers often play. 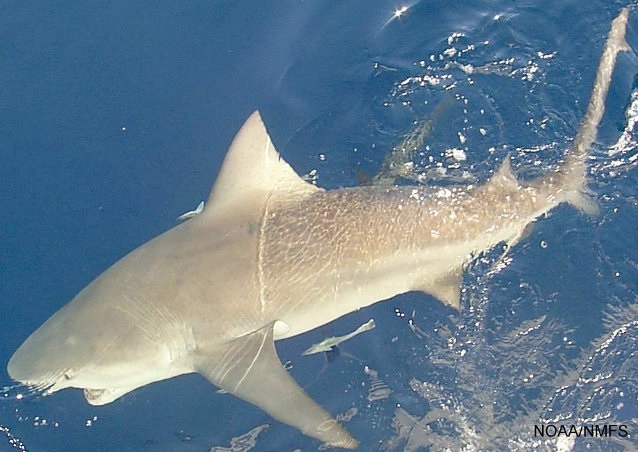 Blacktip bites are mostly non-fatal. Bull sharks (Carcharhinus brevipinna) are responsible for most of the fatal shark attacks in Florida. They are common along the east coast of Florida and juvenile bull sharks frequent the coast from Palm Beach, Florida to Daytona Beach, Florida. That's because of the Indian River Lagoon, which extends along Florida's east coast from southern Volusia County to Palm Beach County, is an important nursery habitat for baby bull sharks. When fully grown, bull sharks reach 7 to 11 feet in length and weigh between 200 and 300 pounds. Spinner sharks (Carcharhinus brevipinna) can grow up to 9 feet long and have a unique feeding technique of leaping into the air while spinning.